I usually consider literary deaths as the result of lazy writing. I discuss this many times on Votaries. I was surprised that Dr. Sweets' death didn't bother me more. It is possible that I was bothered less than I would have been if I hadn't known the death was coming (studies have found that spoilers actually enhance people's enjoyment of shows). However, I believe there is another reason. 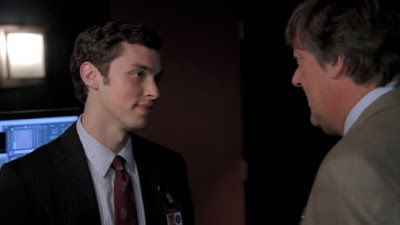 Dr. Gordon Wyatt: [to Sweets] So now you're mostly alone in the world. But they had time to save you. They gave you a good life, and that's why you believe that people can be saved by other people with good hearts. That's the gift your parents left you. That, and a truly good heart. That gives you a deeper calling that I do not share. This sense of calling follows Sweets throughout the seasons. Although he occasionally worries that he is not accomplishing enough or leaving a strong enough mark on those around him, the viewer knows that Sweets is living each day to the fullest; he treats every day, every interaction, as a gift, the fulfillment of a life he never thought to have. I haven't watched Season 5 yet, but I read the spoilers, and yes, John dies. John Reese: He said we don't need to worry. He might even help us someday. Harold Finch: I was listening in, Mr. Reese. Harold Finch: I suppose only time will tell which one of us is right. Harold Finch: I beg your pardon? John Reese: For giving me a job. 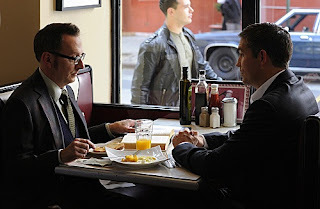 Harold Finch: Try the eggs Benedict, Mr. Reese. I've had them many times. Throughout the series, John tells others many times that he is grateful for his patron, benefactor, friend who saved his life and gave him a purpose. John perceives himself as a fallen soul (Harold perceives him as a knight, inherently good and noble). For John, every day is something he didn't look for, an extra gift. Like Sweets, he may have ended up quite differently; consequently, the life he currently lives has become a series of second chances, to live as the person he thought he wouldn't get a chance to be. In real life, death is always sad. Also in real life, we tend to see an adult's death as less saddening than a child's since childhood is a gateway to the next stage, adulthood. In truth, in real life, adulthood has many stages of its own. In literary terms, Sweets and John have tackled and overcome the final stage. Their deaths aren't mistakes. They are ends to lives already fully valued and enjoyed. The lamest deaths are superhero comics that would kill off a major character to increase sells. Everyone knows that they will be brought back (or replaced with a trendy ethnic substitute.) There's a Grant Morrison comic where Superman is at a funeral of another hero and notes that he had more people at HIS funeral. I think you can do the tragic ending very well, but you need to justify the tragedy. The story should involve something about war or another reason for a death. See MacBeth. 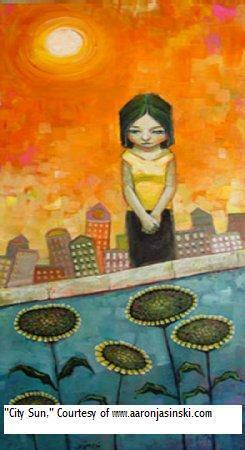 Some tragic endings leave me flat. Despite it's status as a classic, Jay Gatsby's death in the Great Gatsby seemed contrived.